New Year’s Eve brings celebrations when we gather together to remember the good times and bad times we had during the previous year, as well as ponder what adventures the new year will bring. Whether we gather with family or with friends, it’s so much fun to make the party really special. 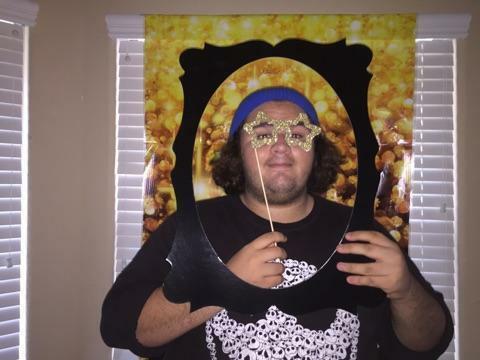 One of the cutest new things to hit big parties are photo booths. I’m sure you’ve seen pictures from weddings or other get togethers with people posing with funny props. 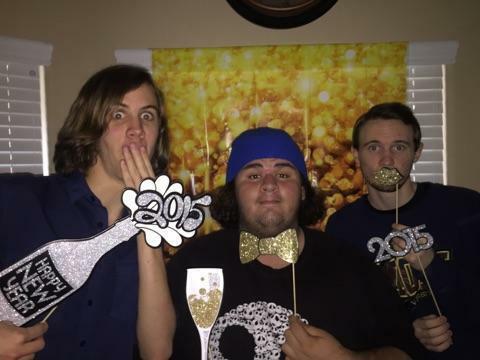 Although many of these are done by professionals, you can have the same fun pictures at your next party by making your own DIY New Year’s Eve Photo Booth. I received samples from Oriental Trading in exchange for this post. All opinions are my own. Photo Booths can be really elaborate or really simple, depending on how much energy and time you want to devote to the project. Whatever you choose to do, you will definitely have a hit at your party! Choose a corner, or perhaps another room that you can devote to the booth. You may want to add some additional lighting from lamps if it seems a bit dark (unless you happen to own professional lighting equipment). Make sure your area is also large enough to accommodate a big group if a ton of people want to get in on a picture. You can go really simple or really elaborate. You could use a flat sheet. Streamers or balloons also make a festive back drop to your pictures. If you are like me and need a bit of help, try Oriental Trading. They have all the best back drops for your DIY Photo Booth. Oriental Trading has backdrops to fit any theme you come up with. Having a Vegas themed party…they got it! Pirates? Yup, those too! Now that you have the setting, now you have to add in the best part of photo booths…the crazy props! Grab a basket and fill it with anything fun you have around the house. Hats, boas, sunglasses and princess crowns all make hilarious pictures. Oriental Trading also has a great selection of photo props, including my favorite photo frames! Since now a days everyone carries a camera in their pocket, you are bound to have an amazing array of pictures at the end of the night. Adding a small digital camera to the basket will be perfect for the kiddos and help you make sure you get pictures at the end of the night instead of waiting for people to post them on Facebook. Oriental Trading has everything you need to put together an amazing DIY Photo Booth. If you are looking for a certain theme, they put everything you need together for you. Check out their themes to select the perfect Photo Booth for your party!. Order by December 30th for New Year’s Eve delivery (see the site for details). Oriental Trading has all the supplies you need for the entire party. I have used them for years! Whenever I need unique decorations or party favors I turn to Oriental Trading. 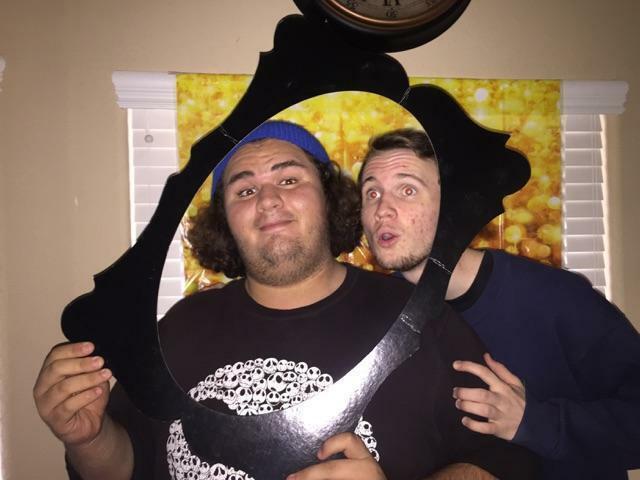 Have you ever been to a party with a photo booth?